For class schedules and bookings please email yogafitness@cottonhouse.net. Please note that there are no classes available from 1st May to 15th July. Immerse yourself in Mustique’s natural spa with an introductory Wellness Experience. 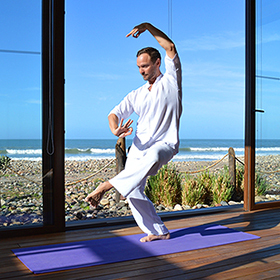 See the sun rise with an early morning group yoga class in our Yoga Pavilion on Lagoon Bay, be pampered with a rejuvenating massage at The Cotton House Spa and refresh with one of our organic raw juices at the Beach Bar. For our latest Wellness package at The Cotton House please visit the Promotions and Events page.